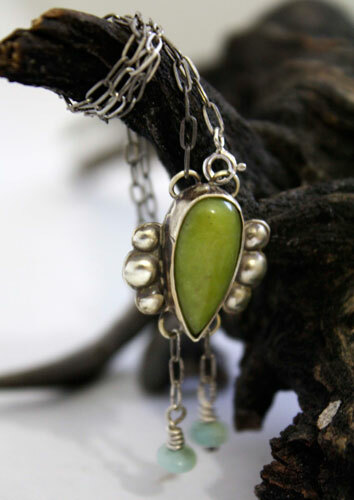 It is made of 925 fine silver made by hand in my workshop, and a beautiful green aventurine. Small green and blue amazonites have been added on the chain. 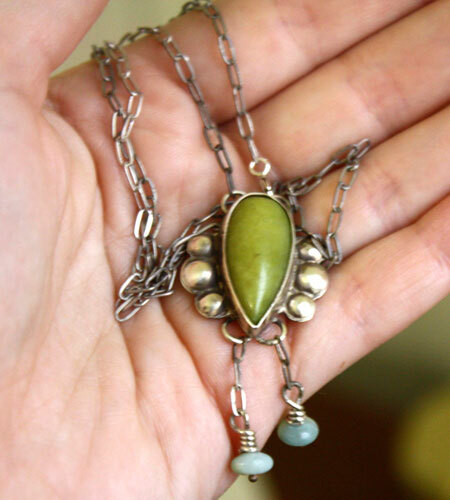 This necklace is a custom order, made around an aventurine selected in our semi-precious stone online catalog. It is dressed in a mounting that I have well imagined at the neck of one of these Marchionesses, lying around in the corridors of Versailles during the Renaissance. 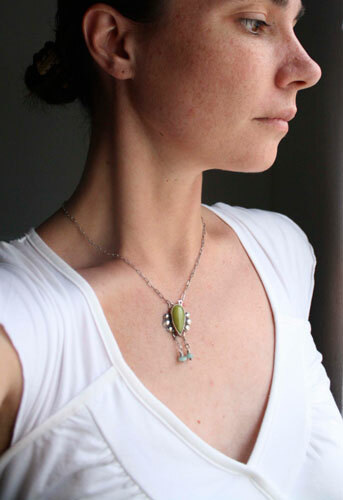 The pendant carries the drop shape green aventurine and adopts the silhouette of a symbolic butterfly whose wings are adorned with sterling silver hemispheres. 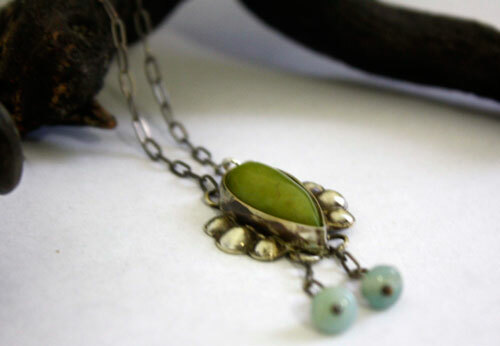 To enhance this air pendant, small green and blue amazonites embellish the chain. 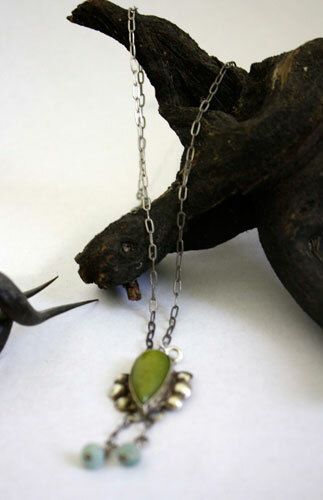 This necklace measures about 42 cm long. I oxidized it in a natural way and then shined the details up. The antique effect gives a very nice touch to this bracelet. I brushed the metal to add an even more vintage aspect. 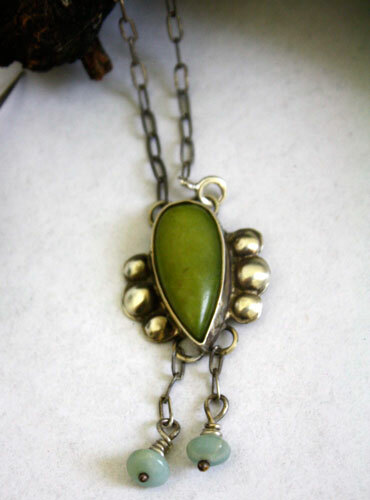 Tag: necklace, sterling silver, stone, aventurine, green, tassel, oxidized, embossed, handmade, vintage, old, amazonite, marquise, rebirth, Versailles, butterfly, symbolic, air, Marchioness.